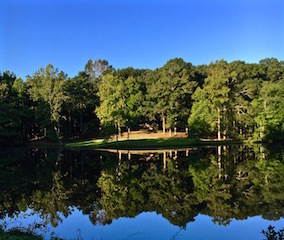 On Sunday, Brenda and I generally head to Clark Hill Lake and visit her dad. This Sunday was a little different. There was also a race on this morning. Most of the races I run are on Saturday. This race was on Sunday. Brenda questioned the timing. “It’s only a 5K. It starts at 08:30. The drive is 28 minutes, I’ll be home by 09:30, ” I promised. “Okay, but we need to leave by 10:00,” I was warned. No problem. I promised, I’d run, cross the finish line, keep running to my truck, hop in and drive directly home. It didn’t matter where I’d finish, top 3 or not, I’d skip a possible award. I just wanted to run a closed course, on trails, against other runners and hard. I made plans to arrive at the race by 08:00AM, be parked, have my race packet in hand, warmed-up, and on the race start line by 08:25AM. At 08:25AM I was exactly where I’d planned to be and standing near dozens of other runners. The race, advertised to start at 08:30AM was initially a little late. At 08:30AM the race’s master of ceremony began her speech. There’s always a speech. When she’d finished talking the crowd gathered for the run would get to hear another speech. The time was now 08:38AM. The clock was ticking – still no problem getting home by 09:30AM. Runners were starting to squeeze toward the start tape. Some were beginning to bounce in place. I was eyeing a lane along the right of the crowd and beginning my inching forward. Minutes to go and we’d be off. The next speaker was a local hero and executive with some organization. I know he was an important local hero because the informed the crowd of his unparalleled greatness. When he finished speaking he returned the microphone to the MC. She puffed up a bit more, not to be outdone by the guy who’d orated to his captive audience the magnitude of his position and sacrifice. When she paused for a breath it was 08:50AM. I was thinking, if the race started right now I could still be on the road to the lake by 10:00AM. The standing herd of human would be runners had been held in place behind the 5K start line now for 20 minutes. For many of the standers it had been longer. Quite a few standers began standing behind the 5K start line before 08:30AM, in fact, I believe 100% of them where behind the start line before 08:30AM. The standers mostly had supposed they’d turn into runners at 08:30AM. So, far no one was running. Tick-tock, tick-tock. The MC then shared sad news. There was a major set-back, the Zumba warm up with Crunch Fitness Trainers were AWOL. Certainly, everyone was assured, the ‘Zumba warm up with Crunch Fitness Trainers’ would arrive soon. Once they reached the start line the Zumba Crunch Fitness Trainers would lead the runners in a 10-minute warm-up. Afterwards the race would be off. (She, the MC, gave the crowd a “WooWhoo!” of encouragement. No one was smiling. 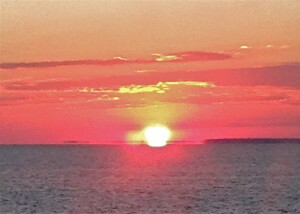 There were no echoed “WooWhos”) I began an internal debate associated with timing. In England, near Hertfordshire, I ran a 10K. The race was scheduled to begin at 09:00AM. There was a warm-up. The formal group warm-up started at 08:30AM in order to have the race start time of 09:00AM strictly obeyed. Before that warm-up time, at 08:28AM, the woman in charge called over the loudspeaker to the milling about crowd, “Okay, Sarah (I don’t actually recall her name) is going to begin our warm up, everyone form UP.” The word UP being issued as a command. The crowd of around 200 Brits created a military formation, squared, and stood at parade rest in less than 2 minutes. It appeared the locals had trained for the maneuver. It would have made any “Tommy” proud. The British are the World’s masters of the queue. I’ve had the good fortune of witnessing an English crowd queue more than once. It is truly impressive. The warm up formation was even more complicated than a simple queue yet handled with ease and confidence. Such order will never be duplicated by us American cousins. This is the home of the free and unruly – at least by standards of the Crown. At 08:30AM, in England, the warm-up began. By 09:00AM the 10K was underway. Note: I was the one with the funny accent. Back in America, Southern accents and sweet tea are more common. On this deadline crunched Sunday in Georgia there remained a notable absence of the ‘Zumba warm up with Crunch Fitness Trainers.’ I hate standing around waiting, especially when I have other plans and the wait is unwarranted. I, for one, could care less about the marketing of some Zumba and Crunch Fitness Trainers’ organization. I promise I’ll not be joining. At 08:55AM my plan was to have completed the 5K and be sitting in my truck preparing to put the key in the ignition. Instead, I was at the race registration desk. My internal debate finished I knew the 10:00AM departure from home to the Lake would be missed should I wait for the Zumba and Crunch Fitness Trainers. I returned my race number and let the race’s official girls at the desk I was leaving because I could wait any longer. Perhaps, it is more correct to call the desk officials young ladies. For certain, they were young and female. To them, those desk barricaded officials wearing matching t-shirts, having iPhone focus, with their air of authority and youth, I explained I understood the race, the 5K, “Starts at 8:30AM”. That the race had yet to begin and I needed to leave. I was returning my race number in the event post-race officials tallied numbers and might find one missing. I didn’t want anyone to fear a runner was lost or worse on the course. One official young lady at the desk looked at me, alarmed from her iPhone by the interruption. Once again, I explained my need to withdraw from the 08:30AM race while pointing toward potential runners corralled at the start line. Gaining her connection with a live speaking person, gathering her thoughts, she told me, “No, it is going to start at 09:00AM, after the warm-up.” It was minutes before 09:00AM and the ” Zumba warm up with Crunch Fitness Trainers” remained a broken promise. It was time for me to depart before my thoughts began their exit from my mouth. As I was driving my pick-up truck away from the race I looked over my shoulder toward the start line. There an eager race crowd waited for Zumba. Before writing this I triple checked the race time. The official publication for the event reads, “5K: Starts at 8:30AM.” I lifted the “5K: Starts at 8:30AM” directly from the official race registration form. The race two weeks ago, another 5K, was cancelled. I learned of that cancelation the morning of the race. The race before that one, two weeks in advance of the cancelled event, did start nearly on time. The entry fee for these events isn’t too costly, around $25.00 each. The money often goes to some charity. I know because there’s always someone bragging about his or her involvement in the charity and how important it is for everyone running be aware of race’s cause. I suppose I’ve heard enough. See, I no longer care about your cause, mission, crusade, or passion as associated with a race. I just want to fork over my $25.00 and enjoy a run. I’m glad the entry fee helps you and your soul’s work. I’ll gladly pay the fee to run. I don’t want to hear your mission statement or your testimonial. But, most of all I want to the race to start on time. Oh, and if you cancel your event, I want my money back. There’s another charity and self-important MC all too happy to accept it. Before I left the house on Saturday morning, aside from stretching and eating breakfast, I took River for a run. We ran a short mile. I kept it short because I needed to get on the road. I had a 5K race at 0900. The race was really a nice run. Over half of it was off road. There was a good crowd even if the weather was a little sketchy. There’s the young crowd of local track team members. Then, there are women and more mature men. By mature men, I mean the population of men over 50. Here’s the thing about this group of runners at the 5K, some male age groups were totally unrepresented. There were no male runners from 19 years old to 24 years old. There were two male runners between the ages of 25 and 29 and zero male runners between 30 and 34. The age groups didn’t get populated for men until the 45 years old group. From 45 years old to 75 years old the grey haired male runners were abundant. Not only were there plenty of mature male runners those in attendance were fast. The second fastest time of the day came from the 70 – 75 year old male group with the old fellow pacing out sub-7 minute miles. After the race when I read the times I wanted to meet the 70+ year old man that ran sub-7 minute miles. So did another runner or two and we searched for him looking for his bib number. We didn’t find him. Obviously, he’d won and headed home, back to Snellville. We all assumed he ran home. I won my age group and did well overall. I’d noticed the medals and wanted one so I stayed for the award ceremony. Sometimes I see the award medal decide it isn’t worth the wait then head home skipping the award ceremony. But, this medal was clearly unique and a fair amount of thought had gone into its design. I wanted it so I waited. The wait wasn’t long – they started with the higher age groups and I’m in the third from the oldest group for this race. When they called my name I walked to the awards area. They’d handed the 2ndand 3rdplace finishers the cool looking medal each with a bronze or silver finish. I received a water bottle! To be fair, it is a nice metal water bottle. I’m sure it cost more that the medal. The water bottle has nothing on it to represent the race. It’s a water bottle with a local middle school logo – the school whose grounds were used to host the race. I am disappointed. If I’d known, I’d had held back for second. What I do know is there seemed to be percentage-wise few young adult males in this race. When I first began running, then racing, the male population was by far the largest percentage of a race. Not too long ago at major marathon the women, for the first time in that race’s history, outnumbered the male runners. Since then, not knowing the exact count, I think the races I’ve entered have been at least even based to gender and if anything the higher number of runners appearing to be female. Certainly, in this 5K the female population was greater in number than the male population. 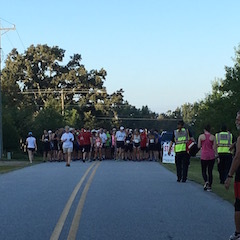 There were two choices, a bow hunter 3D tournament or a 5K race in Watkinsville. I selected the race. I’d not raced a 5K in a while and felt I needed to run one. I’d just shot in a league shoot two nights ago that was pretty intense. Besides, I enjoy 5K races and this one was only 11 minutes from home. 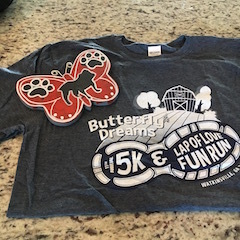 The race was the 11th Butterfly Dream 5K. 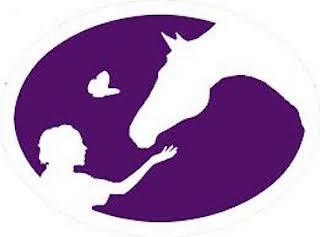 The race collects donations for a special needs adults and children. My wife, Brenda, had pointed out a sign near our local grocery store that aimed at getting more runners involved. The night before the race I chose to run rather than shoot. It would be a nice competitive break. It didn’t bother setting an alarm to ensure I got up in time for the 8:00 AM race start. Eleven minutes away from home and two dogs with stomach breakfast timers would be enough to get me to registration with time to spare. I did have plenty of time the morning of the race. 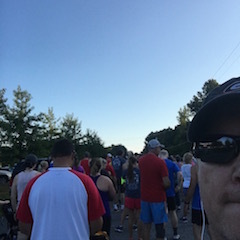 I found a good parking spot and was amazed at the numbers of cars and people that had showed up to huff, puff and pound pavement for 3.1 miles. During registration I learned all the awards were custom with each one being uniquely hand painted by one of the children that are supported at Butterfly Dream Farms. I wanted one. Seeing the crowd of runners I recognized I was not alone in this desire. There are so many 5Ks around Athens that you expect packs of runner to be on the smaller side. Of the two 5Ks I’ve done this year that has not been the case. Today’s run had about 200 adult runners. What was another surprise was the herd’s age split. There seemed to be as many or more runners over 50 as under. As runners were called to the line I headed to where I am most comfortable starting – in the back. The really fast runners crowd the line. I’ve been there. No longer do I feel the need to grab a few extra seconds or get in with a small fast group for pacing. Nope, get in the back, run my race and pass people. I am perfectly fine with reeling in other runners and keeping a pace that feels good. 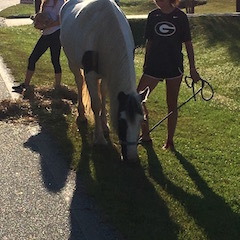 There were two horses at the turn around. That was a first. I tried to get better pictures but I was running. With a mile to go I felt I needed to push a bit and ran my fastest mile. It was in that mile that I passed the most other runners. My pace was just right to earn me a 3rd place finish. When the race was over and times were posted it was evident that the winner of my age group was a serious runner having taken 3rd place overall. Athletes over 60 cranking out sub-20 minute 5Ks are in great shape. I’m okay with a more leisurely pace at this stage of my life. Each award is different. Each was painted by a child. They were random in the order presented. 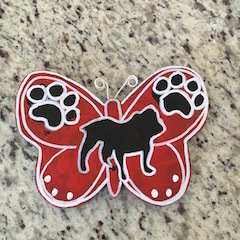 I was happy with mine depicting the University of Georgia colors, two paw prints and Uga in the center. While running I did think about the 3D tournament. I thought about driving over and shooting in it after the run. I’ve done that in the past. In that instance it was a 10K followed by a 3D competition both in Maryland. That, too, was a lot of fun. 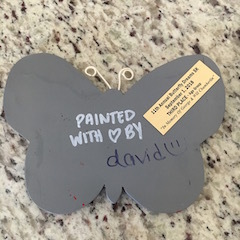 When I flipped my award over it became more special because it was painted by a child named David. Today, however, I decided to skip the 3D shoot altogether. I’ll practice a bit this afternoon on my range. That is after a nap and before the Georgia football game. The food was even better than last year! I’ve mentioned this race a number of times. It is a 5K with a decent size field and really good food post-race. They serve breakfast following the run. Grits, cheese biscuits, bacon, sausage, eggs, pancakes, deserts, and coffee, water or juice to wash it down. As soon as I crossed the finish line I headed directly to eat. I’d come in 24th overall so there wasn’t any line. That quickly changed. By the time I’d finished my meal the line was getting serious. The food was better than last year. And last year’s meal brought me back to this race. It was worth the drive of nearly two hours. Driving that long a 5K is a bit much. But, the race started at 9:00 am, a very humane start time. If it had started at 7:00 am, the drive would have been tough. I improved my time by 59 seconds over 2014 and moved up in the overall from 31st to 24th. I, also, moved up in my age group from 3rd in 2014 to 1st in 2015. 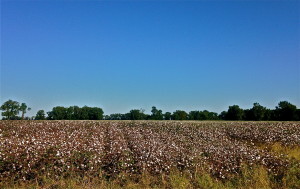 Although the drive is a bit long for a short local-type event the view along the drive is very scenic. Now, take a short break and head out to the range.